The threshold has been crossed. I’m flippin 30 years old… me, the Teenage Mutant Ninja Turtles’ cartoon, Dunn Bros Coffee, and U2’s “With or Without You.” Kind of mind boggling actually and it’s amazing how quickly time flies. Last night I was talking to my dad and we were reminiscing about years gone by and how things have changed. And actually a lot has changed but so much has stayed the same. For a long as I can remember, I’ve asked myself on each birthday, “I wonder what Dad was like at this age, what was going through his mind.” At 30, he had a career in the Army, a wife, and a gaggle of children. I was 8 years old when he crossed this mark. I remember thinking he was the coolest, he had everything together, and that’s what I wanted and I knew I would be that. Fast forward 22 years and things are slightly different. I signed up to help lead the ecclesia militans, my bride is the Church, and spiritually I’ve got more children than I know what to do with… As to feeling like I’ve got it mostly worked out the way I thought my dad had at 30, well… Over the course of this last month I’ve come to quickly realize that that is not the case, haha. Truth be told, I’ve been somewhat out of sorts about it. I thought I would be different at 30 than I am, that somehow I would be more mature, have more of “my poop in a group,” as they say. There’s been this dichotomy in my head, or at least perceived. I’ll let you into the madness that has been my mind the last month… if you dare to enter. Experiences that should, one would think, produce a certain personality. But, that’s one side, the “Father” side. Then there is “Jon.” Jon is often times a silly fool. My ideal morning is waking up, pounding Cap’n Crunch and watching cartoons. When I drive my truck, the music is either off or at max and generally some form of 80’s rock to which, if you pass by and it looks like I’m screaming I am (I don’t simply “listen” to music). Furthermore, I often pretend my truck on the interstate is the Starship Enterprise (that stays between us though 😉) If I didn’t have to for appearance sake, I’d never get a haircut. If I can get away with it, I’ll lay on the roof forever staring at the stars on a clear night or watching clouds during the day and daydream. I laugh at crass jokes and find the most real people are generally at the pub. Much of the time, I’m concocting some absurd prank or joke that I can secretly set up and watch it play out. I shall keep this list prudently smaller than the previous for obvious reasons… In short, Jon is very childish. So over the last month I have seen these two sides at war facing the prospect of 30. But perhaps this is the wisdom that comes with age or maybe I’m just a slow learner: I am who I am and 30 don’t change nothin. Aside from striving to conquer sin and shooting for holiness, “Jon” does not need to give way to some ridiculous illusion of what a 30 year old should be, such is my manifesto and my peace. As I enter into this 30th year, I’ve come to realize that these two aspects of who I am actually compliment each other. I can lecture on the finer points of biblical hermeneutics, political theology, or medical ethics over a nice scotch and the very next day almost destroy my truck going too fast on some motorized vehicle trail in the Hills screaming, “Carry on My Wayward Son.” It has enabled me to be a priest to more than either side alone could minister to. The way that God has guided my life has allowed me to be me, and that’s a beautiful thing. While a lesson that may seem obvious to many, it’s one that, as I mark an age where it officially means I’m getting older, I needed to relearn that older doesn’t mean I have to be somebody else. In fact, there’s an image that I’ve used in many of my lessons in the last couple of months since my parish transition which has played a significant role in my own ponderings. Michelangelo’s painting, The Creation of Adam, is one that is not only aesthetically brilliant, but it’s depth theologically and anthropologically profound. As you can see, God the Father is surrounded by a cloak and within the cloak are numerous beings. If you look closely, you’ll notice that the cloak forms the shape of a brain. Look more closely, and, what are often mistaken for angels, are actually humans. This incredible scene communicates the stunning reality that before Adam was made, before the sun began to burn and the moon circle the earth, before the ground became firm and the oceans gathered themselves, before anything came to be God was thinking about you… me… He was thinking about us individually in all of our weirdness, all of our peculiarities and quirks, all of our goodness. And He loved that thought so much, it ceased to be a thought and He made us. He shared us. Anyone who has traveled to the Black Hills always remarks how beautiful it is. When you take them to the Badlands there is a stark magnificence that moves the soul. Watching the sun set over the prairie of Western South Dakota seems bring everyone to a reverent silence. There is no doubt, West River Sodak is one of God’s gems in this world. But far more beautiful is the Church that exists here, and it’s a Church that forms those who become part of it. It’s people in many ways reflect the characteristics of the natural world that surrounds them. They are hardy and weather worn. The dull roar of constant wind, the summer heat that veritably cooks the ground under their feet, and the harsh winters have steeled the Catholics of this Church. They live by the sweat of their brow and by the work of their hands as they labor with and against nature. Western South Dakotans are a courageous and perseverant people. Their presence declares an inspiring stubbornness to face down the odds. And yet, I have never encountered a more generous people. As an economy centered on agriculture, livestock, and tourism rises and falls erratically, they bond together. While individually they strive to make ends meet, not looking for handouts, they are quick to help a fellow up who has been driven to their knees by circumstance. They give until it hurts, because they know that in this harsh paradise we rise and fall together. 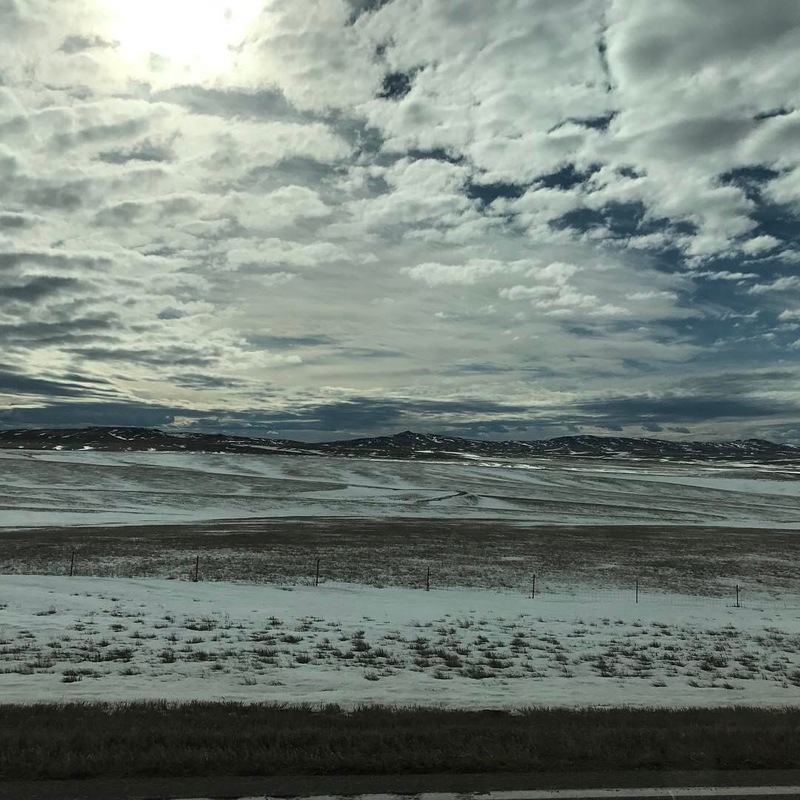 Just as the physical realm has molded them, it is the Catholic Faith that provides a solid foundation for who we are as a Church in Western South Dakota. Not a faith of comfortable, saccharine platitudes that bends to the will of masses, but the wild goodness and truth of Catholicism that refuses to be tamed or shackled. In this way the landscape, the Faith, and people go hand in hand. This is true of it’s priests and bishops. A young mission diocese that is just over a hundred years old has proved to be a boon for the universal Church. The Diocese of Rapid City has sent it’s bishops to serve and rally others, produced two archbishops, a cardinal, sent it’s priests to serve our men and women in the military, and form future priests in the eternal city of Rome. Out of it’s presbyterate, the Holy Father has called priests to the College of Bishops, the most recent having become public today. Fr. Steve Biegler, the Vicar General for our Diocese and the Rector of the Cathedral of Our Lady of Perpetual Help (for whom I have had the delight to serve as his parochial vicar), has been appointed by Pope Francis to become bishop of Cheyenne, Wyoming. He comes from a local Church that has prepared him to face the challenges of being named a Successor to the Apostles. As I reflect on Fr. Biegler’s appointment, I look at the history of our intrepid diocese. I see the photos of those fearless priests who braved the wilderness to keep the flame of faith alive in this part of the Lord’s vineyard. I think of the families who have overcome adversity and struggle, all the while singing the Lord’s praises, as they sunk their roots into the land. In short, I love my diocese, my people, and my brother priests. May I always follow Christ here, may He grant me the grace to live and die in God’s Country. Jeff Cavin’s gave an incredible talk in which he questioned today’s “uber-Catholics.” This is the group who is up in all the Church news, who reads theology all the time, who can quote the councils and the history, buuuuut does not live the life of a disciple. He emphasized that the disciple must be fluent in these things, but without this translating to conversion and lived experience then the Faith is simply a hobby. He went on to explain that a disciple is a Jewish term, stemming from rabbinic tradition. Jewish boys, from age 6-14, all underwent extraordinary training in scripture, tradition and trade. This took place under the direction of a rabbi. At the age of 14, the rabbi would ask each boy what his father did. The boy would state his father’s profession. The rabbi would then respond in one of two ways. The first, “You will be a great (fill in father’s profession).” Or the rabbi would respond, “Come and follow me.” These responses were ritualistic and signified the imparting of a vocation. The response, “Come and follow me,” signified the call to be a rabbi. This is important because, as Cavins said, it meant that the rabbi believed the boy had the ability to be like him. At that point he would become a disciple. Discipling was not a part time gig. The boy would cease all things and spend all of his time with the rabbi. In this way, the boy would come to know the breadth of the rabbi’s knowledge and the deepest thoughts of his heart. The disciple would at the end of his training know in whatever situation he would ever encounter what his rabbi, his master would say and do. This result was only possible by the incredible proximity to the rabbi. Anyhow, very full days! I’m typing this up around 5pm because I’m fairly certain after the final talk my mind will have left me. Today, a brief run down and then a small reflection. 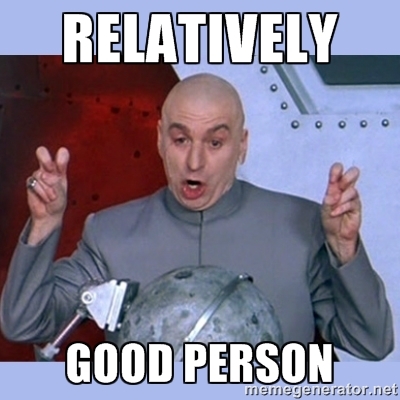 Today’s mass was glorious (despite a very long homily… pot calling the kettle black, am I right? 😂😂😂)! Latin propers, Biebl’s Ave Maria, Sanctus Procession, etc… This style of liturgy is so refreshing and nourishing. After mass, Nancy and I gave the students some space. Our group seems to have all their lodging settled and so today we just turned everybody loose. There are so many talks to choose from, so many boothes and religious, everybody is able to find something to feed the mind and heart. At Mass yesterday morning, 13,000 college students sang the refrain to a psalm, “This is the generation that seeks the face of the God of Jacob.” This chant, sung during the communion procession, gave me chills. Our society is searching so desperately and so frantically to find meaning, some purpose to this life. More appropriate than ever is the line from St. Augustine, “Our hearts are restless until they rest in thee, O Lord.” Despite the fact that tens of millions would never use the phrase, they deeply hunger for God and yet in ignorance of where to find him. Indeed, though our country is seeking the face of God, it is more properly descriptive of those faithful for whom the searching draws them to their knees. This group, this “generation” (age is of no consequence for these) is quite small though. The roaring of secular culture drowns out the voice of our Lord speaking through the Church. For those of us who know Him, speaking with our inside voices is no longer effective. We must shout with our lives. Our country is on the brink, perhaps even past. Fr. Robert Sirico, of the Acton institute, used this image when discussing a Catholic reflection on the 2016 election. Growing up he had a tree near where he lived in Brooklyn. It wasn’t leafing like it should so a “tree doctor” was called in. After inspecting the bark, soil, foilage, etc. he said that it needed to be cut down. It was dead. Sirico’s father argued saying it had just sprouted some leaves, that it was in fact alive. The “doctor” then proceeded to explain that was not the case. There was still sap in the trunk and so after the winter would thaw, it would be forced up. This would allow for leaves. However, it was an illusion. The root system, the life of the tree, was dead. If it was not cut down soon, it would fall over and crash into the their house. We must tend to the roots of our society, Fr. Sirico said. We must tend to the roots. It doesn’t matter if they’re dead. We know someone who can raise the dead. But we must bring life and clear the rot away. By generosity in the smallest of ways. By a loving vulnerability with others that is given regardless of what another’s past looks like. By joy in the midst of a pagan hedonistic despair. By hope when there seems to be no earthly reason to. We can tend the roots by getting on our knees every day and seeking the face of the Lord as His sons and daughters. We can do that, quite possibly right now. “You are my son. You are my daughter.” Repeated over and over and over. The opening conference for SEEK2017 was incredibly powerful and moving. Nearly 13,000 college students, priests, high schoolers, bishops, religious, and families had the chance to just listen to the most fundamental words of our Father. It was a heck of a way to root the conference and a needed sentiment at the end of long journey to get here. We left Rapid on Sunday with cold and overcast skies. That night, pulling into our hotel in Amarillo (appropriately listening to “Amarillo by morning”), we crashed super hard. 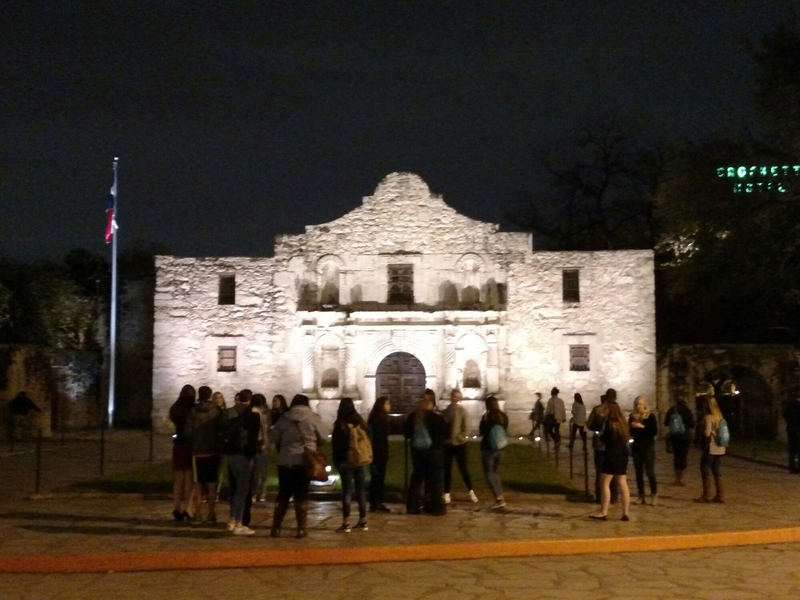 We got on the road fairly quickly Monday and drove another eight hours into San Antonio. While the van is slightly claustrophobic, it gave us a great view of the Texan countryside. I’ve always counted Texas as a “home” of sorts. I spent a number of my childhood years growing up here and half serious, half joke that I’m a third order Texan. While South Dakota is in my blood, my heart is Texan. Coming back here has done real good for my spirit. With all those fluffy feelings, it was quite unfortunate to wake up on Tuesday morning to find out our van had been broken into. Ahh, San Antonio… naive memories were quickly balanced by the actual reality of city living. Nothing of significant value was stolen, however the irony of my backpack being taken was absolutely hilarious. There was only one item in it, a book: “Abandonment to Divine Providence.” Hahahahaha! Nevertheless, we had to get checked into our hotels. Our group has been split up, housing in nearly five different hotels around the convention center. It was a bit of a chore, but everyone was checked in and registered at the conference. I’ll leave you with something that I found very interesting: the opening mass. Let me just give you a few of my observations. 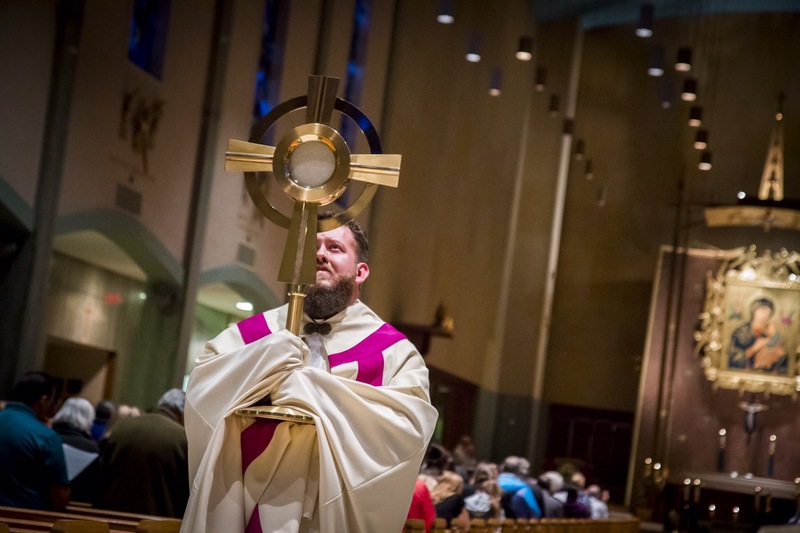 Most of the priests doing college ministry are quite young. These are priests my age, what we would call “Benedictine priests,” as the previous pontiff had incredible influence on our vocations. These are the men that are doing ministry for one of the most under served and yet most influential groups in the Catholic American demographic. They bring this conservative and traditional perspective of Benedict XVI into their priesthood in both explicit and subtle ways. The mass, while making use of contemporary music (although, and please note this, they are contemporary settings to very traditional songs and themes), incorporated a very traditional and reverent attitude that was clearly inebriated with the Extraordinary Form of the Mass (the pre-conciliar liturgy). The altar was set up in the “Benedictine Arrangement” (Altar cross with six altar candles). During the consecration, servers had re-positioned themselves for the Sanctus Procession (incensing the Eucharist during the elevations after each consecration). Latin was used. At each invocation of our Lord’s name and our Lady’s name, every young priest there bowed their head. And what’s more! Nearly every young priest there wore an amice and a cincture! I suppose to some (or many) reading this, you may think Father is being silly or making a mountain out of an ant hill. However, these are all clear signs of a shift in interpretation of the liturgy from the previous generation. This is the effect of Pope Benedict’s hermeneutic of continuity and it has huge ramifications. From the liturgy, all our spirituality and public action flows. The liturgy forms us into healthy and holy Catholics. How we celebrate the liturgy directly correlates to how we define our Catholic identity. Everything I saw tonight confirmed in me the growing momentum in our Church to return to tradition, to strengthen our Catholic identity by respect for ancient tradition while not pretending that we can time travel to the 16th century. All of this took place with a congregation of thousands upon thousands of college students… who didn’t bat an eye. The argument that to return to Catholic tradition means an alienation of the younger generations holds no water. In fact, they are rejecting novelty in worship and are seeking what is tried and true. They are seeking what fed, formed, and sustained the saints. I, for one, am overjoyed to see that my own thoughts and spirituality of liturgy are shared and being implemented (I guess, to be really honest, I’m glad that if I’m crazy that at the very least I’m not alone, hahaha!). Well it’s been a heck of day and I need to sleep. This son is grateful for what God has given His children, even when they don’t know it. We’ll see what He has in store for us tomorrow! Today we celebrate the Feast of the Dedication of the Lateran Basilica. This basilica is the cathedral of the diocese of Rome and therefore the Holy Father’s church proper (where his chair resides). It’s the oldest of the papal basilicas, being given to the Church by the Emperor by at least 313 AD. Due to it’s antiquity and being the seat of the Bishop of Rome, the Universal Pastor, it is referred to as the Mother Church of Christendom. Who cares… Really! Why does the Church celebrate this feast?! There are bigger churches and I’m never going there! In an age where human existence is lived on a very shallow basis, this feast can seem to be silly. Yet, it is needed more than ever. See, this mother church, this physical building is symbolic. Yeah, as Catholics we really dig symbols. But, it’s symbolic as are all physical Catholic churches. The Lateran Basilica quite properly symbolizes the glory, beauty, and strength of the actual Universal Ekklesia, the People of God. When one enters a beautiful church building, like the Lateran Basilica, one is reminded of the spiritual reality of coming into THE Church, the People of God. It is there that communion and relationship with God is not only possible, but readily exists. The physical church building reminds us that it is within THE Church, the Body of Christ, that God calls us to heal us, lift us up, direct us, save us. And that last bit is, I think today, a most important reason to celebrate this feast. It’s within the Church that we find peace and salvation. True peace and security of soul cannot and never will be found outside of it. The institutions of this world are exactly that: worldly… This world is constantly changing, chaotic, and passing away. They cannot give what they do not have. The Catholic Church was created by Jesus Christ to be part of His Self, His own Body. For that very reason, it is otherworldly and constant. The peace and salvation that come from Jesus Christ through communion with His Catholic Church are the answer the deepest longings of our hearts. As we search frantically for the right group, club, party for acceptance, as we overfill our lives with the belief that activities or material possessions will satisfy the longing we miss the very thing that God has given to facilitate meeting those desires. So while it may seem silly to mandate a universal feast of a super old church building that most will never see, after peering into the mystery of the feast day we can rejoice that we have a home in the Church where peace and security of soul can never be taken away. In fact, the only thing silly about today is that at times we still try to find these gifts outside of the Church and it’s Lord. “May you live in interesting times.” This old saying, often times referred to as the “Chinese Curse” at first sounds pleasant. Then, you stop to think about it… Those of you who have studied history will note this almost immediately: interesting times are generally not peaceful. Most of the older folks that I have talked to recently are fairly emphatic that this election cycle has been unlike any other they’ve seen in their lifetime, and by “unlike” read terrible, destructive, or any other pejorative adjective you can think of. In just a couple of short days, the “country’s” decision will become final and we will enter into the next epoch of America’s existence… for better or worse. If you listen closely, one can hear the panting and wheezing of a nation exhausted. Tired and worn, it’s the fatigue of a soul attempting to endure being rent in two. And who can blame it’s rage, bitterness, and impatience? The socio-psychic devastation of cultural and ideological wars, climaxing really over the last 10 or so years, has reached a frenzied peak this last year. So many are so invested that despite the exhaustion, this is a battle to the death. Only time will tell how each tribe will react on November 9th. In truth, I feel I have come to the conclusion that the time to change our nation by means political and legislative has come and passed. To put it bluntly, that door is now closed. You see, the problem with a republic is that while elected officials provide a buffer to the mob and the ever shifting mores of the people, should a people rot morally at the core and that rot be left unattended, that decay will eventually reach the surface; an immoral people will produce immoral leaders. And so it is with our beloved homeland… The Culture of Death is charging towards it’s logical end: death. Both primary candidates support intrinsic evils. The 3rd party candidates are not on the ballot in some places and even when they do appear, they simply refuse to take a position against intrinsically evil actions. Those who believe that we can simply “vote” ourselves out of this situation are sadly mistaken. Years of killing our offspring, gouging the poor, embracing corruption, applauding the destruction of marriage and family, and forcing our moral errors into the 3rd world through financial blackmail have taken their toll. This list leaves out the radical secularization and blasphemous removal of God from the public square. All of this while sitting back in the greatest luxury humanity has ever known… Of the two primary candidates, one is the embodiment of our egocentrically hedonistic culture and the other is the embodiment of our neo-pagan, corruption filled government. Our chickens are coming home to roost, and roost they shall. I will not endorse or condemn one in opposition to the other because both have failed at being human. Both have utterly failed to be Christian, despite both confessing the name. Both are a pox upon our country. So where is the ecclesial “leadership” some are looking for? It lies in this: 2 Chronicles 7:14, “If my people who are called by my name humble themselves, and pray and seek my face, and turn from their wicked ways, then I will hear from heaven, and will forgive their sin and heal their land.” When Israel would turn from the Lord, commit evils, and carry on as if they were free to do whatsoever as they pleased at others’ expense, God would allow them to have a king who embraced those very ideas; when Israel was wicked, God gave them a wicked ruler. This ultimately led to great suffering for the nation, at times destruction. But then, in their humility and dependence, the people would turn back to the Lord and He would raise them up. While America is not Israel, the principle holds true for us. This election seems very clear to me to have the hand of God upon it. Both candidates embrace evils and immorality. Whoever wins, we lose. We must humble ourselves, repent and turn back to the Lord, individually and by family. The Faith must become the center of our lives rather than the “American Dream.” The humility required for repentance will come by our own choice or, I believe, by Divine “encouragement.” The rot and decay will be removed whether we want it to be or not. Is their a way forward? Sure. One can abstain from voting for a presidential candidate and not enable anything (good or evil); or one can, through the principle of double effect as applied to life, justify voting for a particular candidate (those who do so should throw up a little in their mouth as they walk away, though). These are my personal thoughts on the matter, the reflection of a individual Catholic citizen of this country. I will not allow others to escape this election without the same soul searching, prayer driven and Gospel guided fire that hopefully burns off this political identity that has turned so many to fair-weather friends of Christ or traitors to His Gospel and Church. If anything, these “interesting times” may yet serve God’s purpose. Our citizenship is in Heaven, not here. Catholics in America have forgotten this. They identify as Republican (Conservative) Catholics or Democratic (Liberal) Catholics. Both have as their God their political allegiance and therefore view the teachings of Christ through their party’s platform. We must be Catholic before anything else… “If any one love father or mother, brother or sister, son or daughter, [country or party] more than Me, he is not worthy of Me.”Catholicism must be the lens through which we view the world and the end towards which we build it. Here’s my leadership tip: Be a Catholic Saint. You are loved. Beyond all else. Last Sunday I preached about how while the liturgies of Holy Week, in particular the Triduum, get ramped up, the message is actually simplified. The basic kerygma of the Faith is laid out in all of it’s splendor and glory, in all of it’s suffering and demand: God refused that agony, misery, and death (eternal, mind you) should be our only destiny. St. Irenaeus reminds us that “the glory of God is man fully alive,” and so He took steps to make that reality… brutal, horrifying steps. For tonight, He is arrested, stripped of His human dignity (let alone the homage due His divinity) and tortured. Tomorrow He will be executed. For us. Because we are loved. Tonight’s liturgy, the Mass of the Lord’s Supper, is one of the most beautiful and moving of the Church’s entire tradition. As we recall that heartbreaking night, the last peaceful with His closest friends, our Lord expresses His breathtaking love for us. On His hands and knees, Jesus washes the feet of His friends and kisses them. In their foolishness and ignorance, they don’t understand why or what’s about to happen. I can only imagine that as He is doing this, images are flashing through His mind, not only of the pain and suffering which He is about to endure, but the guttural fear and suffering that His brothers and sisters will endure. This is His last chance before Hell is unleashed to show remind them of how much they are loved. His thoughts, though, were not only of them. Each of us, individually and particularly, in all of our woundedness and pain, were present in His mind. His declaration of love washes out far beyond that upper room, it races down through the centuries to touch each of our hearts. But how so? It was on that night, as darkness consumed the sky, that Christ instituted the two greatest gifts He could give His family, His Church: the Gift of the Blessed Sacrament and of the Holy Priesthood. At this last supper, Christ ordains His brothers to be the first priests and charges them to keep Him present within the Church throughout the ages by celebrating the Holy Sacrifice of the Mass. Doing so, Jesus fulfills His promise that He will be with us “to the end of the ages.” This condescension, into the priest as in persona Christi and present in the sacred species of the Blessed Sacrament Body and Blood, Soul and Divinity, is far greater than even the Incarnation itself. It is in these two gifts, of the Priesthood and the Blessed Sacrament, that He might continue to touch His people and be touched by them, speak words of love and call them onward. It’s in the Priesthood and the Blessed Sacrament that we are consoled by His very heart, even as we watch evil and darkness cloud the sky once more. Go to Mass tonight. Make an Act of Love to Christ in the Blessed Sacrament and pray for your priests. Why? Because. You. Are. Loved. Right now I’m looking over the scriptures for today’s Mass, prepping for my homily. So the thought crossed my mind, why not just jot down my notes here! Before reading further, click the link and read the First Reading for Mass today, as that’s where I feel called to focus. How often have we chosen to ignore prayer? How often have we chosen the easy way morally, rather than the hard way that leads to holiness, which is communion with God? What areas of our life have we basically told God, “I don’t want you. I want another”? Where have we broken our Father’s heart? As the altar is prepared for the Holy Sacrifice, take those idols, those false kings of your hearts, those easy loves and have your guardian angel lay them upon the altar in contrition and in love. Do this, knowing that what you will receive back from the altar is Love itself, Power unlimited, Guidance without cost. You will receive your true God. Amen. Please Don’t Assume, Pray for the Dead! David Bowie. Alan Rickman. Robert Loggia. Maureen O’Hara. Over the last couple of months a number of celebrities have died. A lot of ink has been spilled and digital paper run off expressing the sorrow of their passing and how some of their deaths mark the end of era (which is true!). In that same vein, though, it’s been interesting watching the social media feeds and reading how these people and their contributions to society have affected individuals’ lives, actually having done so or otherwise. Seeing it more in the “Facebook” arena rather than professional publications, curiously I read again and again how people say such things about deceased celebrities or family members as, “He’s in a better place now,” or, “Heaven got another good one…” As a Catholic priest, I note these sentiments quite often, more so with family or friends who mourn the loss of a loved one. These automatic emotional responses, de facto canonizations, concern me a great deal, most especially when it leads to souls not being prayed for! This is always such a touchy subject for many… and I don’t begrudge people a fond remembering or hope of peace for the departed. I’m certain you understand what I’m driving at here… The truth is not everybody goes to Heaven, and fewer still will avoid the purification of Purgatory. To immediately claim that all who are “generally” good, whatever that means, are owed an eternity of perfect bliss immediately upon death (only people like Hitler go to Hell) is absurd. And whats more, such proclamations are so disconnected from the actual person who lived that when we declare somebody to be in Heaven simply because they died, it is not for the sake of the deceased but for our own emotional satisfaction. To automatically assign someone to Heaven can, 99.999999% of the time, mean rejection of the dead’s freedom; a dismissal of the soul’s decisions during life. It should be noted that these expressions and sentiments are by far and away in our culture the norm. Here’s the rub with me: when we just assume that someone is in heaven or we sooth others with such absolute ideas all that is taking place is a shallow emotional anesthetic for the living, and the dead are not prayed or cared for. Let’s be clear about what I’m saying: Not all people go to Hell nor should we assume someone is in Hell. That kind of declaration is just as illusory and detached from the deceased’s freedom of will as simply stating that they are in Heaven. The recognition of someone’s eternal destiny lies only within the competent authority’s jurisdiction, namely that of the Church and not in individuals. Notice my choice of wording there, “recognition of someone’s eternal destiny.” The Church, as well as God with some theological nuance, does not send souls to Heaven or Hell. God has placed that eternal decision before each and every one of us (and He assists us in choosing for Him and happiness during this life with His grace). In opposition to declaring someone to be in Heaven or in Hell, the Church holds firmly to the free will that each soul received from God. She refuses even to definitively say that Judas is in Hell! This freedom is part of what makes us in the “image and likeness” of God (Gen. 1:27) and He will not revoke that gift, even should we choose against Him. What a travesty it is when we do so by our assumptions of someone’s eternal destiny. However, we do recognize some to be in Heaven because of miraculous signs that God allows to communicate that this person is in fact in Heaven and is to be emulated or still has a particular role in interceding for the Church Militant. But until a person is canonized a saint, we must not assume that they are perfectly united to God! The only safe assumption is that the deceased person, who had some goodness and virtue was imperfect and sinned, is in need of purification. We must pray for the dead! You see, Purgatory is not a “divine waiting room.” It is a place of purification and as such is not pleasant. There is real suffering. I’ll get into the nature of Purgatory tomorrow, but for now, suffice it to say we really don’t want to shoot for it! The freedom that was granted to the soul on earth is perfected in eternity so there are no more decisions for or against God after death; a soul is either going to Heaven or Hell. However, if that soul has loved God and neighbor as He commanded, yet imperfectly, meaning not meriting Hell, that soul is destined for Heaven but is in need of being purified of attachment to sin before entering. Hence, Purgatory. This is one of God’s greatest mercies; despite being imperfect, if we loved Him He will have mercy. 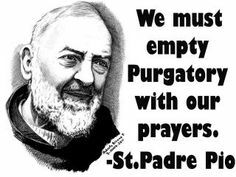 But for the souls in purgatory, because their will is perfected in eternity, they cannot pray for themselves. Let me say that again, the Souls in Purgatory cannot pray for or help themselves. They need us. If our love and care for the dead meant anything in life, that love means infinitely more after they have died. If we knew that a loved one was suffering or need help while they were alive, we would help them, would we not? How much more so can we help them after they have died! We cannot abandon them after death! To do so is one of the gravest sins against charity! In short, love should impel us to pray for the dead. Assumptions and wishful thinking at the very least only help us feel better and at worst disregard the help that the dead so greatly need. Whether it’s Alan Rickman, a beloved friend or family member, or simply the recognition that there are souls in need of our help, prayers for the dead should be a consistent theme in our prayer life. We need to bring this back to Catholic culture. 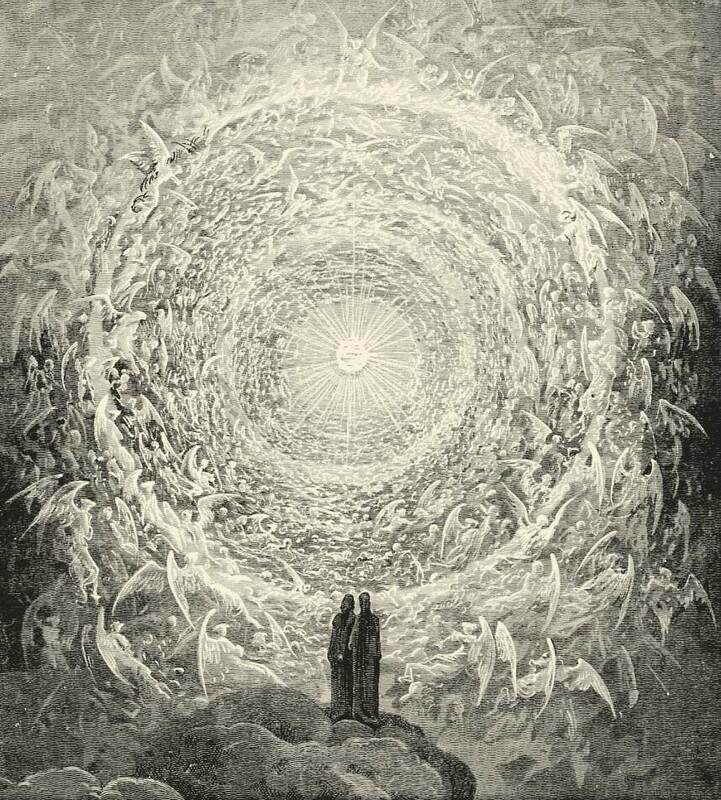 Praise God for His merciful gift of Purgatory, and even more for the gift of allowing the prayers of the living to assist souls there! It’s something one day that each of us will probably be extraordinarily grateful for! WEEKEND UPDATE FOR GREGORY COUNTY: Mass will still be held at Saint Anthony’s in Fairfax tomorrow. Linemen are working hard to restore power for Bonesteel and Fairfax, hopefully tonight. However, it may not happen... So, if you are able to make it into mass, please bundle up. You may arrive and the heat be back on; you may arrive and it be quite chilly. But, by God’s grace, we’re going to keep moving forward. All who have been affected by the blizzard, please know that you’re in my prayers. FOR THOSE IN BURKE, remember, Mass is at 5:00 NOT 5:30. MASS/CONFESSIONS CANCELED: It’s just a heck a winter this year folks... after receiving messages about poor conditions and conferring with the parish council in Burke, I am canceling confessions in Burke and Gregory as well as Mass tonight in Burke. I do want to hold off on making that call for Bonesteel/Fairfax’s Mass tomorrow (primarily because of how much we’ve had to cancel because of the weather). I would welcome parishioners thoughts on the east end of the county just so I know what conditions are like there, otherwise I will make the call early tomorrow morning. Stay safe, warm and holy folks. Know of my prayers for all of you, especially those who are calving right now.